Delve deep into the vibrant culture of Vietnam and visit the city Ho Chi Minh. What started out thousands of years ago as a small fishing village is now the economic centre of Vietnam, and Ho Chi Minh is the perfect place to experience the hustle and bustle of city life. Learn all about Ho Chi Minh’s extensive history at the War Remnants Museum or try out your haggling skills at the Ben Thanh Market. The city’s stunning architecture is often inspired by traditional French design. This is especially noticeable when visiting the Saigon Notre Dame cathedral toward the East of the city. A visit to the Suoi Tien Amusement Park is a must for family holidays to Ho Chi Minh. Here you’ll find several entertainment areas including a dinosaur garden and a stunning enormous waterfall with an emperor carved into it. Fancy a bit of retail therapy during your stay? Ho Chi Minh has lots of shops and malls for you to browse and treat yourself. Our selection of Ho Chi Minh hotels are tailored to suit a variety of tastes and budgets, so you’re bound to find something to cater to your needs. 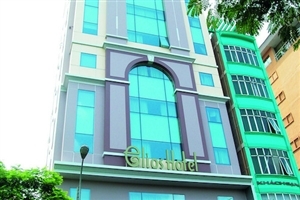 If it’s a cheap Ho Chi Minh hotel that you’re after, then the Elios Hotel could be the one for you. With modern decor and comfortable furnishings, as well as an ideal location in the heart of the city, the Elios Hotel is the perfect gateway for your adventure. If you’d like a little more luxury during your stay, then the Caravelle Hotel is perfect for you. You’ll feel like a celebrity in this lavish hotel, which boasts opulent accommodation and fantastic restaurants. Suoi Tiên Amusement Park - The perfect place to take the kids during your family holiday to Ho Chi Minh. As of 2017, the park will be serviced by its own railway station. Museum of Vietnamese History - Learn all about Vietnam’s colourful and interesting past at the Museum of Vietnamese History. Diamond Plaza - Shop til you drop at the luxury shopping mall, Diamond Plaza. Saigon Zoo & Botanical Gardens - First opened in 1865, this zoo is a great day out for the whole family. Here you can see tigers, reptiles and many other exotic and interesting animals. By booking the right hotel you will be able to ensure that your 2018 / 2019 Ho Chi Minh holiday is unforgettable. 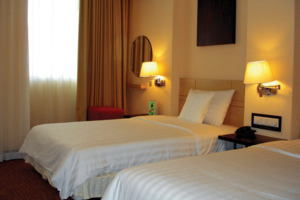 Here is just a selection of our favourite and cheapest hotels in Ho Chi Minh City. Please use our search panel above to find your perfect choice. 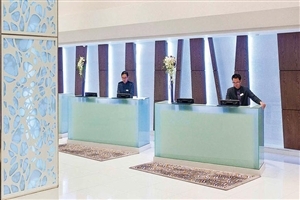 A proud ‘home from home’, Elios Hotel Ho Chi Minh invites its guests to enjoy unmatched comfort and customer service that go well beyond its modest three-star rating. 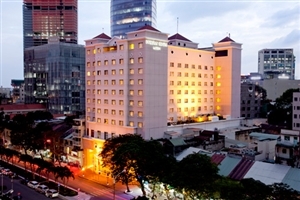 Closely located to Ho Chi Minh’s vast shopping, business and entertainment districts, Elios Hotel Ho Chi Minh is the ideal gateway to ... one of Vietnam’s largest and fascinating cities. Impressive facilities, delicious cuisine and spectacular views distinguish Elios Hotel Ho Chi Minh, an excellent value Vietnam holiday option. Located deep in the centre of Saigon near the popular Ben Thanh Market, the Golden Central Hotel Saigon is a hub of comfort and style, striving to ensure the utmost quality and convenience for any and all guests whether for business or leisure. Adorned in chic decor and a sense ... of elegance, the modern hotel features plenty of facilities along with an exquisite dining venue and bar that offers gorgeous views overlooking the city. Each of the 120 lavishly furnished guestrooms and suites are filled to the brim with luxuries and services to create the ideal resting place for travellers looking to get the most out of their time spent in Vietnam. Overlooking the fascinating Saigon River, Palace Hotel Saigon is a comfortable, well-appointed hotel in the centre of Vietnam’s largest city, Ho Chi Minh. Ideally located in the centre of Ho Chi Minh, close to the city’s tourist attractions, as well as the shopping and business districts, Palace Hotel Saigon endeavours ... to meet your expectations. With facilities that belie its three-star rating, including a fitness centre, a swimming pool and the BS Spa, Palace Hotel Saigon is a superb value choice for a cheap Vietnam holiday destination. Situated in the vibrant Phu Nuan District within the cultural city of Saigon, Eastin Grand Saigon is a welcome retreat that combines international luxuries with traditional Vietnamese hospitality, welcoming any and all guests with open arms. Located twenty minutes from the city centre, guests are welcome to explore their surroundings ... or simply bask in the lap of luxury at the hotel, where numerous facilities and dining venues await to soothe and satisfy the most discerning travellers. Housing 278 lavishly furnished guestrooms and suites, each decorated with the utmost care to ensure guest satisfaction and luxury, the hotel is simply an idyllic haven for guests to begin their memorable time spent in magnificent Vietnam. 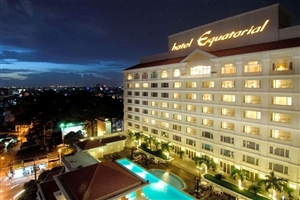 The fantastic Equatorial Hotel Ho Chi Minh City is a high quality haven located at the intersection of the city’s four main districts, directly in the heart of Ho Chi Minh. The hotel grants a world of high standard amenities and facilities throughout, presenting guests the option of exploring the ... city, staying in the hotel to relax and utilise any and all facilities on offer, or perhaps a mixture of both to ensure the perfect time possible, with the staff of the hotel more than happy to help accommodate each and every guest, from family adventurers to business travellers. Home to a number of exquisite dining venues and 333 guestrooms and suites, each individually designed with additions to suit all guests, the hotel is the perfect setting to indulge in the wonder and culture of one of southern Vietnam’s most prominent cities. Immerse yourself in the sights and sounds of Ho Chi Minh with a stay at Duxton Saigon, a superb four-star hotel located in the popular area of the city. Ideal for couples, families and corporate travellers, Duxton Saigon offers 195 elegantly appointed guestrooms and suites spread across four accommodation classes ... and each boasting superb amenities. Overlooking Saigon River and presenting a wealth of excellent facilities, Duxton Saigon is distinguished by its location close to the shopping and business areas of Ho Chi Minh, Vietnam’s largest city. The globally renowned Caravelle Hotel is located in the heart of Saigon, making it the ideal venue to explore this historical city, the largest in Vietnam. A recognisable feature of the Ho Chi Minh skyline, the five-star resort Caravelle Hotel boasts impressive luxury and extensive facilities for both leisure visitors ... and corporate travellers. Each of the elegantly appointed guestrooms and suites provide comfort and functionality, while the excellent restaurants reflect the lavishness on offer in one of Vietnam’s foremost hotels. Located in the heart of Ho Chi Minh’s business and entertainment district, Sheraton Saigon has much to offer both leisure and corporate travellers. 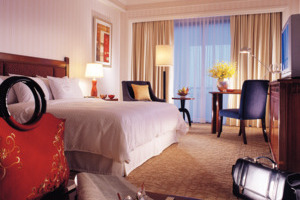 Towering over Vietnam’s largest city, Sheraton Saigon is a five-star complex boasting 472 elegantly appointed guestrooms and exceptional facilities, including a decadent spa and four exquisite restaurants. ... Corporate guests can also take advantage of the superb business facilities, with 16 meeting rooms and a conference centre that can accommodate up to 1,200 people.